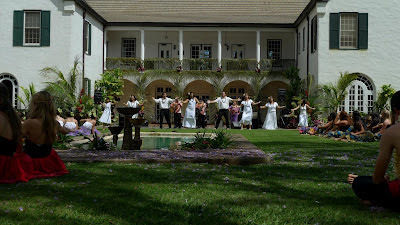 Aloha 'Ia No Maui. Photo courtesy of Emily Davis. Today was a beautiful day, for many reasons. 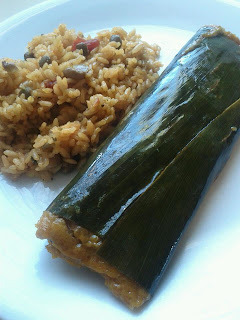 Where can you get authentic Puerto Rican food in upcountry Maui? Well, for the last few months, Da Puerto Rican Food Truck has been parked outside Long's upcountry - Thursday and Friday for lunch from 11-3 and dinner from 5-8, and Sunday and Monday for lunch from 11-3. (Also in Kihei at Kamaole III on Saturdays, and at Waiko Baseyard in Waikapu on Wednesdays). Those are the official hours but it's basically until the food runs out. Sold out! Catch me Sunday at Longs Upcountry! 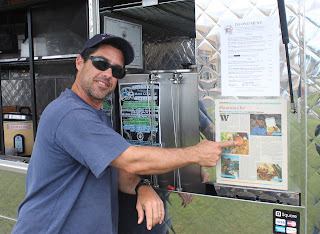 Yes, business is booming, says owner Jose Antonmattei, who hails from San Juan, Puerto Rico. And it's all because of word-of-mouth and social media advertising, nothing else. You can follow @DaPRFT on Twitter. 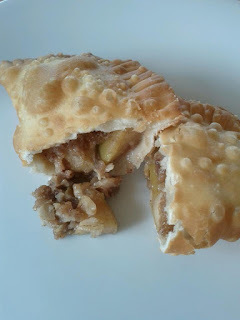 And Da Puerto Rican Food Truck is on Facebook (go ahead, LIKE them -- I did). 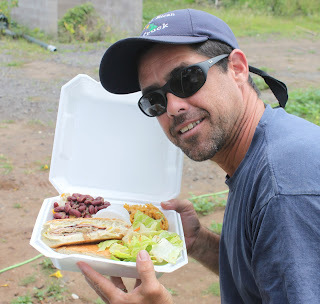 Two weeks after Da Puerto Rican Truck opened, Jose's wife Amanda invited the Maui Twitter Foodie Flock for lunch in the Kahului Industrial area. "Wait -- let's get grooving first!" Jose told Amanda. Not to worry, the Foodies gave Da Truck a multiple thumbs up. While Amanda takes care of all the advertising, Jose likes to spend his time chatting with his customers. Jose explains how to do tostones (fried plantains) to two of his regular customers. Sooo, what about the food? "Our delicious pulled pork marinated with traditional herbs and spices, served with ham, swiss cheese, pickles, mayo and mustard, on a fresh French roll and pressed to yummy perfection. $8.95 add side and a drink $11"
The side I chose was arroz con gandule. I pronounce the entire plate ... ONO! Yes, Da Truck carries the must-haves: gandule rice and pasteles (those were for special occasions in Puerto Rico, notes Jose). The most popular item is -- guess what -- not officially on the menu! "Gandule rice ball - take rice, make a ball, stuff with jack cheese, bread it, deep fry it, serve it with a little garlic aioli sauce. Can't make enough of them." Jose beams. Jose recently added apple pie empañadillas to the menu. The dish was inspired by his son. What brought Jose and his wife Amanda to Maui and how did the Da Puerto Rican Food Truck come to be? Jose and Amanda had dreamed of doing something with food. And why not upcountry, where places to eat are few? 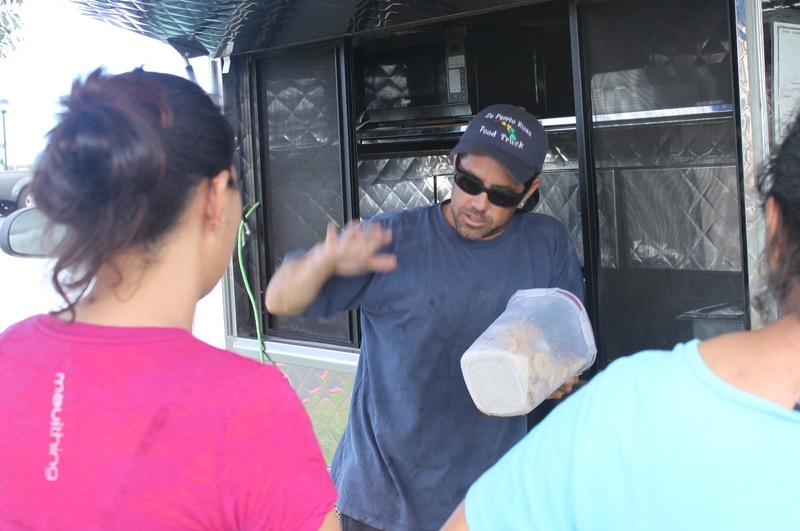 A food truck became available a few months ago, and Jose and Amanda's dream became reality. The food truck concept is popular on the mainland, remarks Jose. 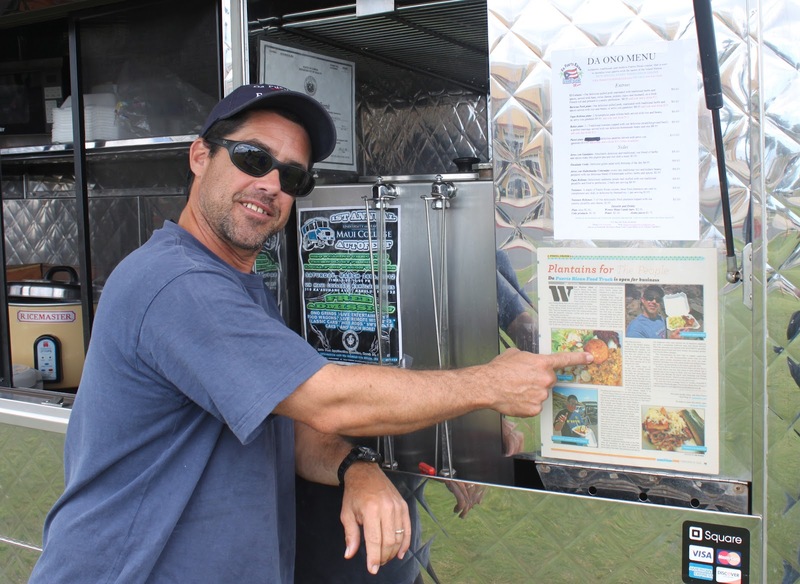 He, the Pulehu Pizza people, and others want to bring food trucks to Maui. So, mark your calendars, because on Saturday, April 28, there's going to be a KULA FOOD SLAM. "The food trucks are coming!" upcountry to Morihara Store. @DaPRFT and Pulehu Pizza will serve from 4 to 8 pm and there'll be relaxing acoustic music. "It's the first monthly," says Jose's wife Amanda. Mark your calendars and spread the word...Da first monthly Kula Food Slam Sat. 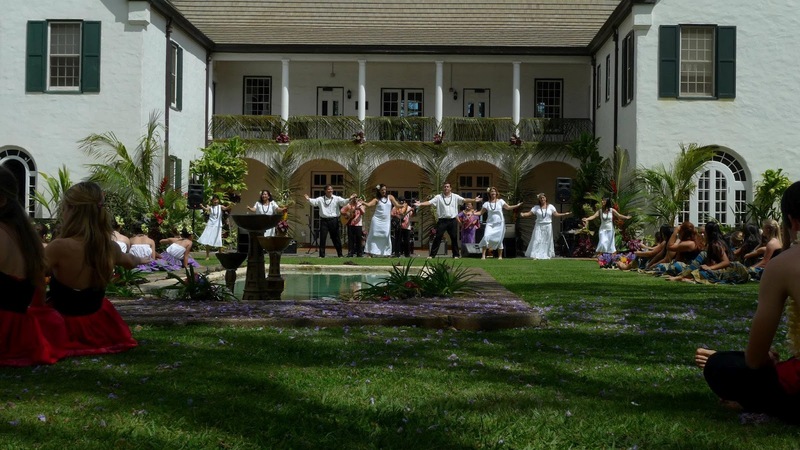 4/28 on the lawn at Morihara's Upcountry! DaPRFT&Pulehu Pizza! Kula Food Slam cont...bring a chair or blanket there will be live music, glass blowing demos, vendor samples and ono grinds! 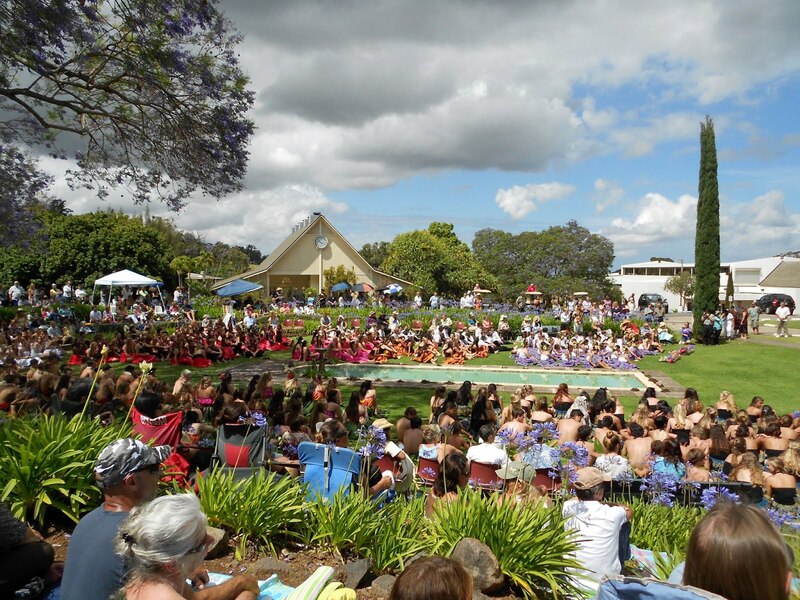 Sounds like a whole lot of relaxing, delicious fun for the whole family on a Saturday evening in Kula! YES, I'm definitely heading up with Beau Joe.